You know that feeling when it’s sweltering hot and you feel that lotion pooling on the back of your knees when you sit in the car? It really is the worst. More sun exposure, leg shaving, and swimming means you can’t skip out on the moisturizer, especially in the summer. But, it’s so hot here right now. The very last thing I want to do is put on a thick lotion and then sit under the ceiling fan in my towel waiting for it to dry. Who has time for that? Then, you walk outside in 60% humidity suddenly you feel greasy or worse, sticky. So, you can imagine that I was super intrigued to try Vaseline® Spray & Go Moisturizer (I got to try the Total Moisture® variant!). Here is how it works. You spray the lotion on your skin, then rub it in. To apply, spray up, switch hands, spray down, and then rub in. And when I say rub it in, I really mean run your hands over it quickly. It takes me less than two minutes from start to finish. The mist feels cool and light going on. It absorbs so quickly that, by the time you are done rubbing it in, you’re ready to put your clothes on. I love how FAST it makes my morning routine. The bottle uses compressed air and it sprays 360 degrees, so you can spray over your shoulder to get your back too! I was a little concerned that the spray nozzle would clog, but I am happy to report that there haven’t been any issues. Vaseline has noted on the bottle that if this were to occur, you can run it under hot water to unclog. I also didn’t have any overspray issues, but you probably would want to use a towel or bathmat to stand on as a precaution so you don’t slip. I also use it on the wiggly toddler, who giggles and says it tickles. She loves it so much that I have to mention another feature of the packaging that I love: the top twists and locks. Great for throwing it in your bag AND for two year olds that want to spray themselves. I also liked the Total Moisture scent. The scent is light and clean and doesn’t compete with perfume when I wear it. Your skin feels so soft--not sticky, filmy, or greasy in the least. It also comes in Aloe Fresh with pure aloe and Coco Radiant™ with cocoa butter. Both sound perfect for summer. To learn more about these products, just visit their Facebook page. 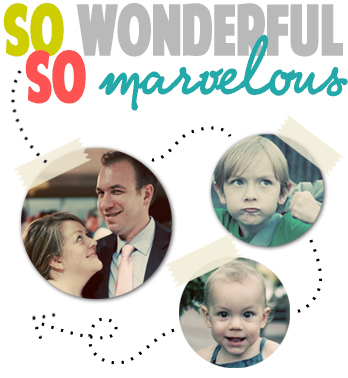 Vaseline is giving one So Wonderful, So Marvelous reader a $1,000 SpaFinder gift card. Just leave a comment telling me how Vaseline Spray & Go Moisturizer would maximize your morning. Entries will be pooled from participating blogs and one winner chosen. I LOVE LOVE LOVE Vaseline's Spray and Go (currently using the Coco Radiant)! I'll be honest - I used to skip applying lotion because of the greasiness and how long it took to dry - now I mosturize every day - quick and so very easy!!! Thank you Vaseline!! With a new baby anything to make my routine quicker is welcomed. I have come into work with wet hair for two weeks. Lol. At least I showered. Since we've moved, I've added a 20 minute commute to my morning schedule....which means either getting up 20 minutes earlier (boo!) or making my morning routine 20 minutes more efficient. I think I need to try this! My husband would love this product! He needs to and wants to put on lotion, especially on his dry legs, but he can't stand the sticky feeling most lotions leave. An affordable Moisturizing Mist that will treat the occassional breakout delicately. The Vaseline Spray would make my legs silky and smooth, preparing me to take on the day with confidence. This would be great to use for after shaving my legs in the shower. it would make it less messy with a sprayon. It would help me start the day out feeling fresh, soft and pretty. I use Vaseline in the mornings and love it!! I'm a mom to 2 as of last week, so I could use all the simplifying and streamlining I can get! This looks like a great idea. save time! always running out the door with dry skin! I would save time by spraying it on. I have a problem remembering to lotion, like at all. I'm either heading to work & have limited time in the morning or it's the weekend & I have someone climbing on me and/or my dog wants to lick it off my leg anyway. It would be great to use just out of the shower, my skin needs the help badly! Great idea, my extra dry skin could use a fast break. It would save me some much needed time in the morning by making my routine quicker! It would save a lot of time not having to rub it in! I open all the windows, give the house a good spring cleaning and have tons of plants. Spray on sounds easy and I'd be more likely to actually use moisturizer in the morning! Spray lotion! I could chase don't my very dry skinned 11 year old and zap him whether he likes it or not! I don't have a morning routine and my skin suffers for that! Vaseline spray would be a great way to pamper my skin quickly! I don't have a morning routine and my skin suffers! Vaseline spray would be a great way to pamper myself in the little time I have! I picked up the Cocoa scent after reading this post and I absolutely love it! Perfect for summer...all year really :) Super fast to put on, drying time is next to nothing, and my little 19 month old loves to "help" shake the can for me :) Great product! I have wanted to try this product ever since I first saw the ad for it :) sounds great! Hey. I'm a broke college student. Hook it up. I love new quick tricks for dry skin when I'm always on the go. I love Vaseline Baby Oil Gel...use it everyday but this spray might just replace it! I use Vaseline Spray and Go and LOVE it! No more slippery hands! I've never tried this, but I'm totally intrigued. My one dry-skin pet peeve is my feet: I cannot handle dry feet. However, lotioning in the morning is always such a pain: I never think about it until its time to put my shoes on and walk out the door, so I slip around in my sandals for 30 minutes waiting for my lotion to soak in (or rub off, whichever comes first). If Vaseline Spray and Go is as good as you say it is, this could mean big things for my feet. I'm adding it to my shopping list now. I am very interested in trying this new Vaseline! When I go home (Washington State) I get so dried out and my sister that lives up there fights it too...this would be a great way to relieve it! I could spray and go and not have to wait for it to dry. I want this. It's so hard to get every spot moisturezed with my arthritis. Vaseline Spray & Go Moisturizer would maximize my morning by giving me more time to get my chores done before i head out for work. Finally a way to get lotion on my back after my morning shower! this would help after a morning shower.